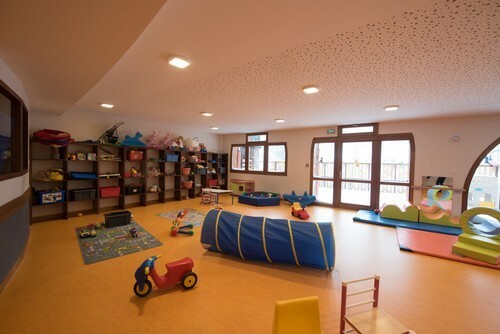 The Risoul ‘Espace Enfants’ child-care team look forward to welcoming your children from 6 months to 6 years. We are open every day during the winter season. This year we have lots of new things on offer! The Creche : Welcomes children from 6 months (gone) to 3 years. 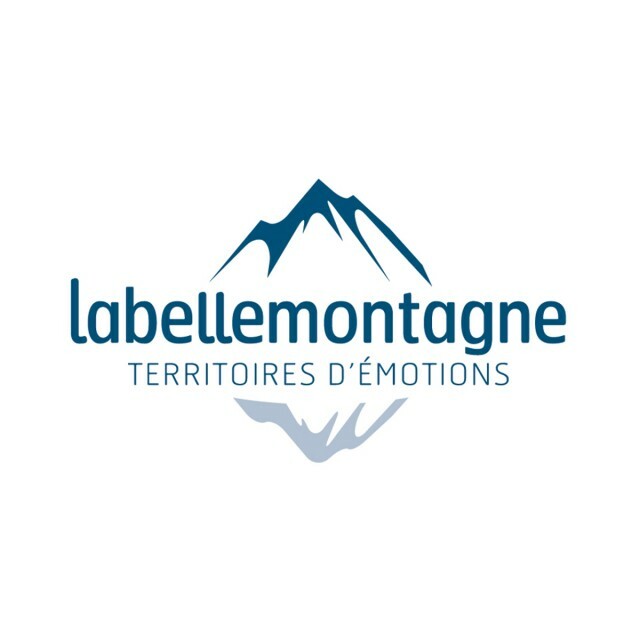 Our premises are in the heart of the resort, above the lift pass offices and the French Ski school. Enter from the street. We have made some improvements for even more comfort : the reception area has been enlarged, we have added an extra dormitory and baby playpen, new toys, and now provide mineral water. We have modified our opening times to better adapt to children’s routine and parents’ schedule. During the school holidays we now open at 8.45 am so that Mum and Dad can make the most of their time on the slopes. We no longer offer the 3-hours option in the afternoon as we found that children were too tired and at times missed out on their sleep, so we now welcome them from 12 noon or 1.30pm only. Therefore, they will already have eaten before coming to the crèche. You provide meals and snacks. We provide the mineral water! We use the products you provide for changing your children - nappies, wipes, cotton wool, soap and flannel. You can drop off enough supplies for the week to save you from getting a bag ready every day. Although we try to take the older children outside, this may not be possible the first few days or due to weather conditions. However we leave the joys of sledging and rolling in the snow to the parents! You are on holiday so you are free to bring or pick up your children at times that suit you according to the option you have chosen. Getting ready for the holidays, packing and the long journey can be a tiring time for all the family especially during the winter. However, it is important to explain to your child that he/she will be looked after at the crèche while mum and dad go skiing. Children understand a lot of things and will better adapt if you have taken the time to explain things in advance and if you are calm and reassuring. Tell your children the schedule for the day. If you have several children, we recommend dropping the oldest one off first as this will help the younger one to better accept the separation. It’s a good idea to leave a morning snack for your child as the mountain air soon makes them feel hungry! We advise children to drink bottled mineral water. Prevent ear infections by giving your child a drink on the way from Guillestre up to Risoul. You can send booking forms for “Bambins” and “Espace Enfants” in the same envelope. Lots of new things this year for over 3s at the Espace Enfants! We have moved ! We are now located on the top floor of the Tourist Office building (enter from resort) in a cosy, modern area especially dedicated to young skiers. This year we have new options on offer : we will take your children to or pick them up from ski school in the resort, whatever the time of their lesson, except the Grand 8 option during the February school holidays. The Team will look after the children’s ski equipment. You provide meals and snacks for your children and we will heat them up in the kitchen. Mineral water is provided. Children of 3 and 4 years have a little nap from 2pm to 3.30pm. Quiet time is scheduled for children of this age during the first three days of the week as children are generally very tired at this time of year. The end of the week will be even more fun and festive if the children are on good form. We are going to open a small library where you can borrow books during the week. Make sure your children have warm clothing and sun protection so that they can have fun playing in the snow (hat, gloves, ski suit, good boots, sunglasses and suncream). We recommend that they drink bottled mineral water. Book ski school. Then when you arrive on Saturday, come and pick up your child’s ski-bib at the daycare centre (top floor of the Tourist Office building). Depending on ski school times chosen, either take your child to his/her ski lesson or bring him to the daycare centre. We will then act as intermediary and take charge of the transition between ski school and daycare or vice versa. Please note that the ski-bib is compulsory! Please drop off meals, change of clothes and footwear at the daycare centre. You can send booking forms for “Creche” and “Garderie” in the same envelope. 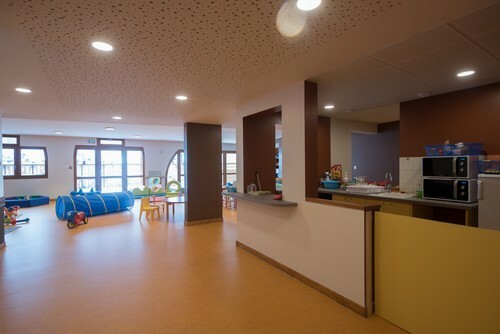 During the summer the Espace Enfant is open from Monday to Friday.